Choose from a wide selection of Bridgestone logo golf balls featuring your company logo or branded message for your next golf tournament, event, outing or promotion. 4. 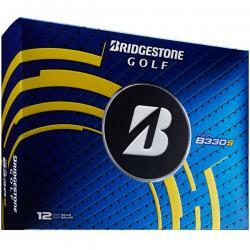 Your Bridgestone logo golf balls will be produced and shipped followed by a tracking number sent by email. Custom Logo Bridgestone e12 Soft Golf Ball. Distance Performance class, 3-piece surlyn golf ball that delivers sidespin reducing performance, with added distance off the tee with a softer feel. Bridgestone's proprietary new Active Acceleration Mantle.. Custom Logo Bridgestone e12 Speed Golf Ball. Distance Performance class, 3-piece surlyn golf ball that delivers sidespin reducing performance, with explosive distance off the tee with a solid feel. Bridgestone's proprietary new Active Acceleration Ma.. Custom Logo Bridgestone e6 Soft Golf Ball. The Bridgestone e6 SOFT is a high performance ball with an incredible soft feel. It is designed to produce low driver and long iron spin for incredible STRAIGHT DISTANCE. The advance mantle and cover work in.. Custom Logo Bridgestone e6 Speed Golf Ball. The Bridgestone e6 SPEED is a high performance ball with remarkable initial velocity. The core is designed to provide incredible speed and low spin off the driver to deliver STRAIGHT DISTANCE. This multilay.. Custom Logo Bridgestone Extra Soft Golf Ball. The Extra Soft is designed with a superior, soft feel on all shots and long distance with a straighter ball flight. Extra Soft is the perfect ball for all-around performance. Item number listed is for the.. Custom Logo Bridgestone Lady Golf Balls. The #1 selling women's ball in golf is now the softest Bridgestone golf ball made. After more than 15,000 live fittings with women golfers, Bridgestone Golf has developed a woman-specific model engineered for .. Custom Logo Bridgestone Tour B RX. Distance to outperform the competition and Accuracy to help you find the fairway. The enhanced distance of the TOUR B RX comes from increased ball speed as a result of the proprietary core construction and enhanced .. Custom Logo Bridgestone Tour B RXS. Distance to give you an edge and Feel to provide control around the green. The enhanced distance of the TOUR B RX comes from increased ball speed as a result of the proprietary core construction and enhanced aerody.. Custom Logo Bridgestone Tour B X. Feel for more birdies and Accuracy to help control the ball on every shot. The enhanced feel of the TOUR B X comes from a softer cover as a result of the SlipRes technology. The TOUR B X gets accuracy as a result of .. Custom Logo Bridgestone Tour B XS Golf Balls. Feel for more birdies and distance to help your attack the course. The enhanced feel of the TOUR B XS comes from a softer cover as a result of the SlipRes technology. The TOUR B XS gets distance as a resu.. Custom Logo Bridgestone Treo Soft Golf Ball. Gain accuracy and control by playing Treosoft Golf Balls. Engineered for golfers with moderate swing speed, Treosoft Golf Balls feature a soft Gradational Core construction designed to create ideal compres..